If you're in the market for a new and comfortable chair this summer, you probably won't have to look further than the Cape Cod Chair Company. NBC10 Boston's Nick Emmons visited the Harwich, Massachusetts business to see how the chairs are made. Many products are made in Massachusetts but there some that are unique to Cape Cod. When you head to the beach, it’s always nice to have a chair and not just any chair, but a good one! That’s where Cape Cod Beach Chair Co. comes in. 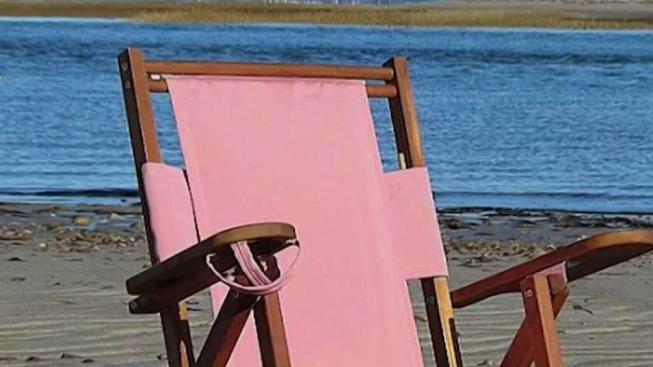 Owner Justin Labdon says his chairs have pretty much reached “icon status” on the Cape. He started the company in 2002 after getting laid off from a tech job in Boston. Now the chairs, which come in different models and fabrics, can be found all across the Northeast and around the world. “We ship them to superyachts in the Mediterranean, people in Europe and the Caribbean,” Labdon said. From the rolling waves to the coastal breeze in the air, the sounds of summer on the Cape also include the crack of a bat. The Cape Cod Baseball League is always a big draw and showcases some of the top college players and future major league stars. Barnstable Bat Company makes thousands of wooden bats per year for both pros and amateurs alike. Nick Emmons takes you behind the scenes. The boys of summer made the switch from metal bats to wood ones, and many take their hacks with lumber shaped in the backyard workshop of Tom Bednark. He started the Barnstable Bat Co. in 1992, and by 1995 major leaguers were belting home runs with his bats. From the depths of the ocean to a tiny shed in Hyannis, Massachusetts, Dave Turner’s wooden whales come to life. Turner says he left his job working at the Pentagon about 15 years ago to come back to his family home on the Cape. 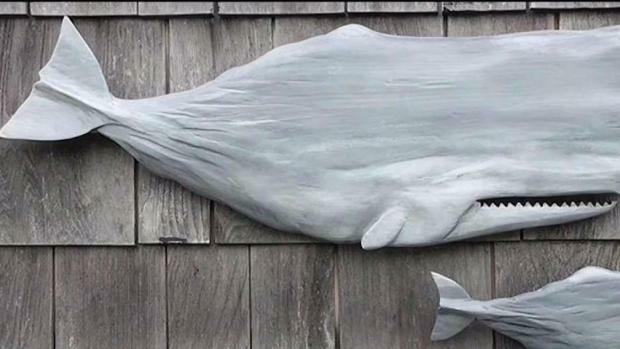 His one-time hobby of hand carving sperm whales has grown into a full-time business at the Wooden Whale Co.
Turner says he went from working for Secretaries of Defense, to “all whales, all day.” That was pretty much the motto around the Cape and Islands during the peak of the whaling industry. These days, Turner focuses on the beauty of the once hunted giants. Instead of a harpoon, a chisel is his weapon of choice. A talented artist went from top secret work at the Pentagon to making wooden whales in his Cape Cod shed. 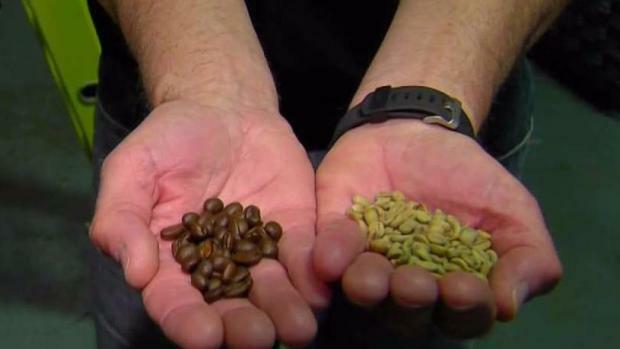 The buzz around Mashpee is Cape Cod Coffee. The decades-old company got a jolt in business when Jan Aggerbeck and his wife Pam, bought the roasting facility three years ago. “A lot of people I talked to on the Cape had not heard of Cape Cod Coffee,” Aggerbeck said. Prior to taking over, Jan was a software CEO in Silicon Valley. Now he and his wife are enjoying the coffee life after ditching the corporate world, and coffee is something Jan knows well. Owner Jan Aggerbeck wants you to remember your time at Cape Cod Coffee. “I was born and raised in Denmark, which is a huge coffee nation,” Aggerbeck said. The facility gets beans from all over the world, and Aggerbeck puts a big emphasis on keeping the product fresh. “If you come back next week, there’s brand new bags of coffee. All this will be gone. All fresh,” he says while pointing to a large rack of bagged coffee. Ask any beer enthusiast in in Hyannis, and they'll likely tell you the toast of the town is Cape Cod Beer. Owner Beth Marcus says you can't have the full Cape experience if you don't try one of their brews. She quotes their slogan, "we're a vacation in every pint!" 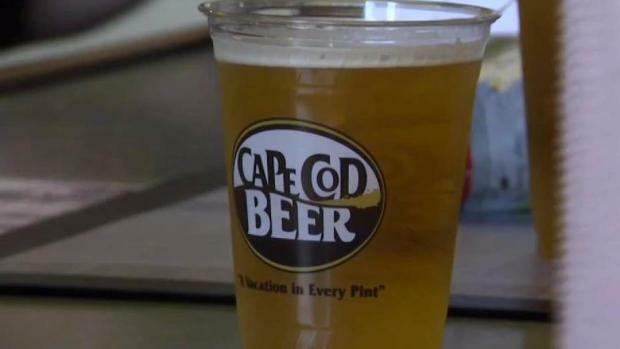 Nick Emmons found the perfect pint crafted by Cape Cod Beer. She and her husband, Todd, started Cape Cod Beer in 2004. They tapped into their passion from brewing, and some savings, to try something new. "We had both worked in high tech long enough to realize that it was work, and we might have been really good at what we were doing, but we weren't very passionate about it," Beth Marcus said. Now, they make 6,500 barrels of beer every year, but they intentionally keep the distribution area within 50 miles of the brewery, to ensure the beer stays fresh. "If you're drinking our beer on Cape Cod, it has never gone over the [Bourne or Sagamore] Bridge.